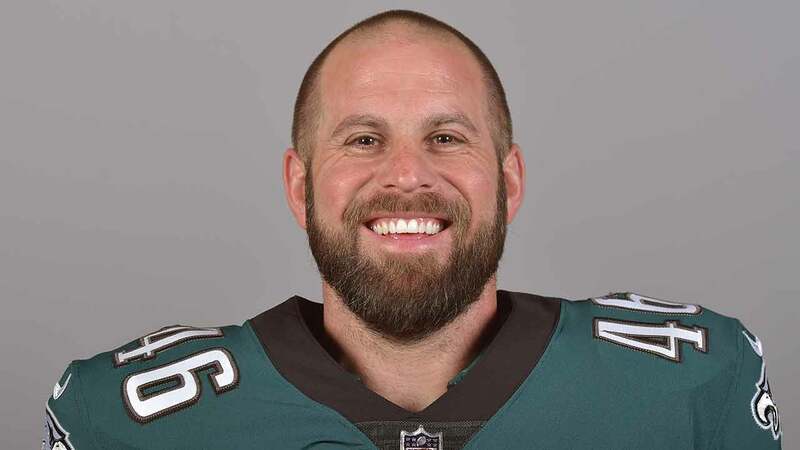 SOUTH PHILADELPHIA (WPVI) -- The Philadelphia Eagles have traded fan favorite, long snapper and magician Jon Dorenbos to the New Orleans Saints. In exchange, the Birds will receive a 7th-round pick in 2019. Dorenbos spent his first three years in the league with Buffalo and Tennessee before spending the last 12 with the Eagles. His 162 regular-season appearances rank as the sixth-highest total in franchise history. "Jon is one of the most inspiring people I have ever known. He gave everything that he had to this organization for more than a decade, but his legacy in Philadelphia goes far beyond his performance on the field, his Pro Bowl selections or the consecutive games streak. His true impact is measured by the number of people in this city that he connected with, the lives he has been able to change and the courage he displays every day after battling such tremendous adversity as a child. Jon's enthusiasm and positive outlook are contagious; he's one of the most genuine, caring people you could ever meet. I speak on behalf of the entire organization when I say we are incredibly proud to have called him an Eagle and our doors are always open to him in the future." "This was one of the most difficult decisions we have had to make as an organization, not only because of his stellar performance on the field for so many years, but also because of the relationships he has within the organization and the connection he has with our fans and the Philadelphia community. We have the utmost respect for his consistency and his relentless commitment to winning over the last 11 seasons. We all remember adding him to the team in 2006 and winning six straight games to win the division and a playoff game. He is a genuine class act who has positively influenced the lives of so many through his community work and his motivational speaking. During this time of the year there are many difficult decisions to be made. We are pleased that an opportunity presented itself to allow Jon to continue his career with the Saints, and we wish him all the best. Even though he won't be on the field with us this year, we hope that he will one day return to retire as an Eagle, and rejoin our organization in some capacity." "These are always hard decisions to make, especially with a player like Jon who has so much respect from the coaches, players and fans. On a personal level, it has been a pleasure to work with him and get to know him over the last few years. He's as tough and reliable as they come. We appreciate everything he has done for this organization and in the community and at the same time we are excited for him to be able to continue his career with the Saints."